Yesterday I shared a book illustrated by Uri Shulevitz. 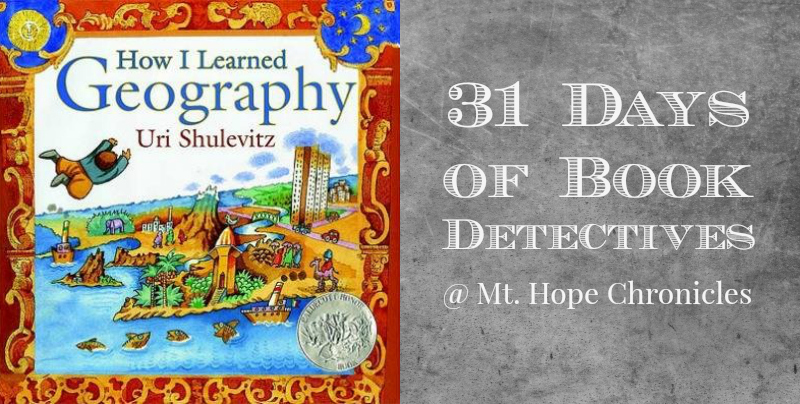 Today’s Book Detectives selection, How I Learned Geography, is illustrated and written by Shulevitz. 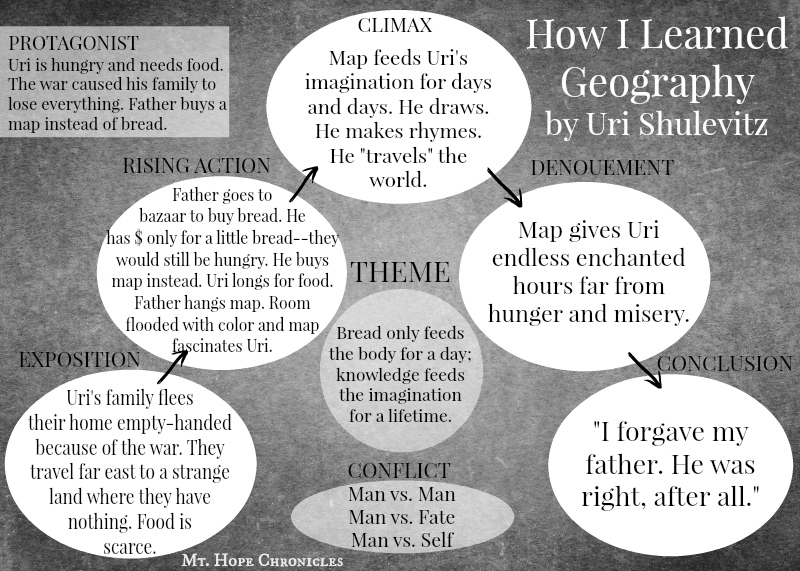 And it’s a true story of a little boy torn from his home by the devastation of war—a true story about a hunger that bread cannot satisfy. The best part is the final page of the book where the author tells his history, of fleeing Poland in 1939 and moving all over the world. He tells us that the story takes place when he is four or five years old and living in Turkestan. He also shares a picture of himself in Turkestan at the age of seven, a beautiful map of Africa that he drew at the age of ten, and a drawing of the marketplace in Turkestan that he drew from memory at the age of thirteen (while living in Paris). Readers discover that Uri knows, from personal experience, that knowledge feeds the imagination for a lifetime. He grew up to become an award-winning author and artist. Few picture books are written in 1st person, so this may be a good book to use for a point of view discussion. Small room, dirt floor, with strangers and no toys or books. 1939, after Hitler invaded Poland (the Warsaw blitz), at the beginning of WWII before the U.S. entered the war.